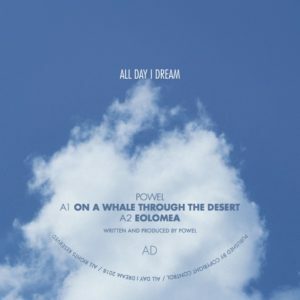 Powel returns to All Day I Dream with an EP that perfectly encapsulates the label's emotive sound. Beautiful and dreamy journeys to close your eyes to and float. Ever the perfectionist Powel’s tracks have been heard at the events in various revised forms until, finally, he was happy. That makes us happy too. If you’re expecting peak time bangers please move on immediately. However, if you love tinkling bells, smooth flourishes of emotion and great beats then you’ve come to the right place.